The Classical Liberal Institute at NYU School of Law (CLI) invites applications for a two-year post-doctoral fellowship position, beginning in September 2018. This is a full-time fellowship located at the New York University School of Law in New York, New York. Description: The purpose of the fellowship is to promote the candidate’s research training and professional development by funding full-time research and scholarship while working toward actively pursuing an academic career. The candidate will be expected to produce a work of serious scholarship during their time at the Law School, and will be expected to be in full residence during the period of the fellowship. The fellow will take part in the intellectual life of the Law School which will include attending events such as faculty workshops and colloquia, and seminars on a regular basis. The fellow will receive a stipend of $67,000 per year plus a research allowance and will be eligible for benefits. Qualifications: Eligible candidates will have completed their J.D. or Ph.D (or both) by the start of the fellowship. The candidate should have a deep research interest in some aspect of law as evidenced by his or her research agenda. The candidate should have excellent research, writing and analytical skills and possess a demonstrated interest in pursuing an academic career in law after the conclusion of the fellowship. How to Apply: Applications should include a cover letter, CV, transcripts, a short writing sample, and the names and contact information for three references. Please submit application materials by email to the Classical Liberal Institute at cli@classicalliberalinstitute.org. Only email applications will be accepted. The application deadline is March 1, 2018. Applications will be accepted and considered on a rolling basis. 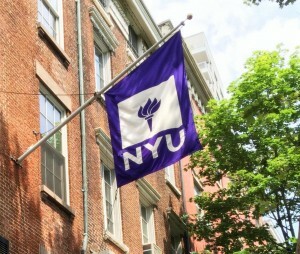 The Classical Liberal Institute at NYU Law was founded at the New York University School of Law in the fall of 2013. CLI’s mission is to examine how systems of property rights and contracts work to advance human welfare within a framework of limited government. We encourage discussion on these important issues through supporting the innovative research of academics at all stages of their career, engaging with student organizations and academic institutions, and hosting various events featuring leading experts from law and related disciplines.